I wonder what gaming will be like for children 50 years from now. Traditional console gaming has really only been around for a bit over 30 years, and there are already a ton of video games from the 15 or so where I was a twinkle in my parents’ eyes or an infant. But for children in the year 2067, will they even bother to play all of the retro games, considering how many of them there will be? I guess we’ll have to wait until we’re all old to see. At any rate, I’m still trying to keep up with modern releases while also catching up with games that I either missed or that came out before I was playing games. Here are some games that I really want to play, but just haven’t been able to yet. Keep in mind that I’m only talking about games that came out a year or more ago. Mario and I have a weird relationship. When I was a kid, I loved Mario Kart DS, but after playing New Super Mario Bros. and not really enjoying it, I thought that all Mario games were like that, and didn’t play any other Mario games except for Mario Kart. I eventually discovered the outstanding Galaxy games, but I have yet to beat Super Mario 64, Sunshine, or 3D World. And while I did beat the original Super Mario Bros. recently, I have yet to beat Super Mario Bros. 3 or Super Mario World. But the main Mario games aren’t all that I’m missing. I played the beginning of Mario & Luigi: Bowser’s Inside Story, but haven’t beaten it and haven’t played any other game from the series, despite the fun that I had with the little that I played. I haven’t played any Paper Mario games, or Super Mario RPG. For now, I will wait until the SNES Classic comes out, which I can hopefully get. If I do manage to secure one, it will have both Super Mario RPG and Super Mario World, so I can play them with the controller that they were meant to be played with. I own a NES Classic, so I can play Super Mario Bros. 3 right now if I wanted to. Maybe I will when there’s a small gap in release schedules and I need something to fill that gap for just a few days. I own Sunshine, and Bowser’s Inside Story, so it’s just a matter of finding time to play them. I think I might have to be content with never beating 3D World. I had fun with what I played of it, but I think I’ve had my fill. For the original Paper Mario and 64, I’ll wait until they’re eventually ported to Switch, and play them there. For every subsequent Paper Mario game, I’ll play them on their original consoles, skipping Sticker Star because I hear it’s pretty bad. The same goes for Mario & Luigi, although I want to play the Paper Mario games first as they interest me more. I bought Metroid Prime for the GameCube a few years ago, and I enjoyed the part in space, and then completely forgot about it. Other than that, I haven’t played any Metroid games. Sooo... other than list the entire Metroid franchise, I’m just going to say that I need to play all of them... well, maybe not Other M, because I hear that’s bad, and maybe not Federation Force, because I hear it’s the Tri Force Heroes of Metroid. In September, Metroid: Samus Returns, a remake of Metroid II on the GameBoy, comes out on 3DS. I plan to play that when it comes out. After that, if I get a SNES Classic, I can play Super Metroid on that. I might wait to see if the Metroid Prime Trilogy gets ported to Switch, because a first-person shooter like that almost always does better with motion controls, in my book. Then I think there were one or two good games on the GameBoy Advanced that I can play, because I have both a GameBoy Advanced to play on the go and a GameBoy Player to play on the TV. It’s like the Switch before the Switch was a thing! I haven’t played any Kingdom Hearts, but I want to because I love Disney and I’m learning to love Square Enix games, so it seems like a good fit. I have Kingdom Hearts HD 1.5 + 2.6 Remix on PS4, so I just have to play through all of those and then get the other remake that’s also on PS4. But... that’s a lot of time. Like, a lot of time. Oh well. Slow and steady wins the race. 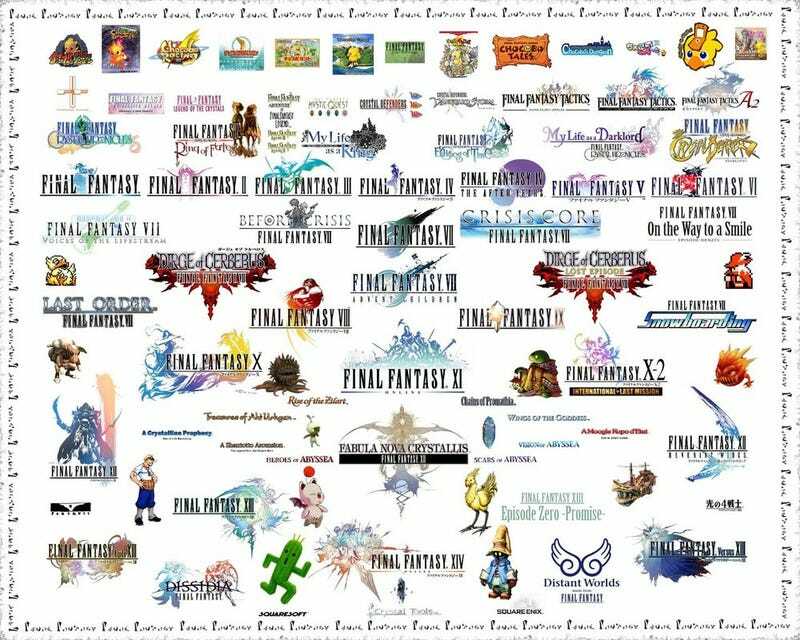 Speaking of Square Enix games, what else but one of their most iconic franchises: Final Fantasy! I played Final Fantasy XV on Xbox One and loved it despite its many issues, and played Final Fantasy IV on DS, which I quickly got bored of despite its promise in some areas. The original Final Fantasy was on the NES Classic, but I had no real interest in playing it, seeing how much of a grind-fest it was supposed to be. Final Fantasy VI on the SNES Classic, however, is something that I can get behind! I hear so many wonderful things about this game, and I can’t wait to experience it for myself. VII is getting a remake, so I think I’ll wait for that, but I also hear that X is quite good, so I might go for that and X-2 once I’m done with VI. Oh, and I still need to play all of the DLC for XV once all of it’s out and I can play it in one big chunk. Right now, I’m playing The Last of Us Remastered, and I’m really enjoying my time with it, despite some minor gripes. I would love to see how Naughty Dog does with their full-fledged series, Uncharted. There’s no way in heck that I’m beating 1-4 in time for The Lost Legacy, but I plan to start chipping away at it with The Nathan Drake Collection, and then moving on to 4. Luckily, these games aren’t full-fledged RPGs, so they’re a bit on the shorter side, but four medium-sized games add up to one big game, so it’ll still certainly take me plenty of time to completely catch up. The Legend of Zelda is my favorite series. And yet there are plenty of games in the series that I have yet to play. This, above everything else that I’ve written, has got to change. I haven’t played The Minish Cap, Link’s Awakening, Oracle of Seasons, Oracle of Ages, Zelda II: The Adventure of Link, or Four Swords Adventures! That’s too many games to not have played when it’s your favorite video games series ever! My plan to knock these games out is going to take place over many, many years. I’m going back to the very first game, The Legend of Zelda, on NES Classic, and completing it, both the normal and second quest. After that, I will be knocking out each Zelda game in order of when they were published. Yes, this will take years and years, but in order to speed up the process somewhat, for the month of November, sometimes known as “Zelda month” on YouTube, I will not play any games but Zelda, and complete any games that I started in November before moving on to new ones. So yeah, I have a lot of games to play. But I’m sure that we all do. What games do you wish that you’ve played but haven’t gotten around to yet, and when and how do you plan to finally play them? As they like to say around here, talk amongst yourselves!